The annual Chinese Culture Festival sponsored by the UNL Confucius Institute will be launched soon. 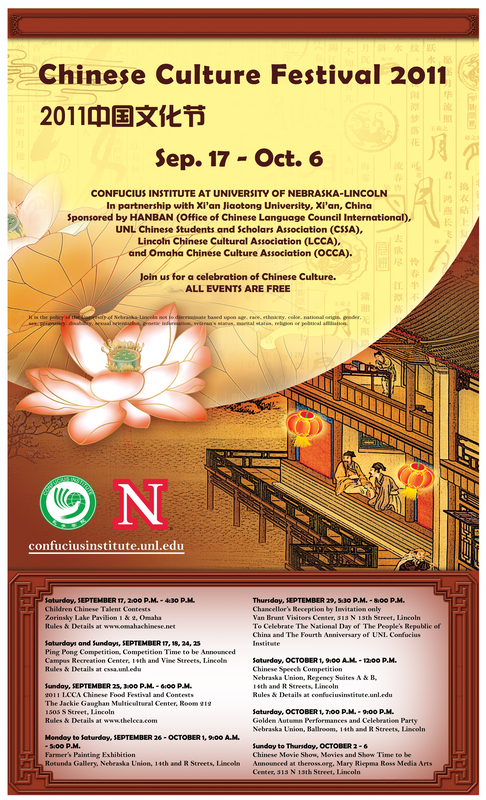 As part of the celebration, Lincoln Chinese Cultural Association (LCCA) and UNL Chinese Students and Scholars Association (CSSA) will jointly organize a Chinese Food Festival and Contest on September 25 at the UNL Jackie Gaughan Multicultural Center. We cordially invite all Lincoln Chinese families, Chinese food lovers and experts to participate in this event. Entries for the contest can be both hot and cold dishes and pastries. Whether it is traditional cooking, or is innovative, as long as you are proud to be given prominence, it is in line with contest requirements. The food contest judge panel will be formed by amateur cooking masters from our LCCA families and professional cooks from our Lincoln community. There will be numerous awards to encourage participation and creativity of the participants. We also will set up a voting box, so that contesters and visitors also have the opportunity to cast votes for their favorite dishes. We will also provide brochures to introduce Chinese eight major cuisines and videos on Chinese cuisine production processes. In addition, for those who want to learn making dumplings, there will be on-site demonstrations. While enjoying the food and romantic music, you will be deeply attracted by the profound history of Chinese food, and thus feel a strong kinship, friendship, and infinite comfort. 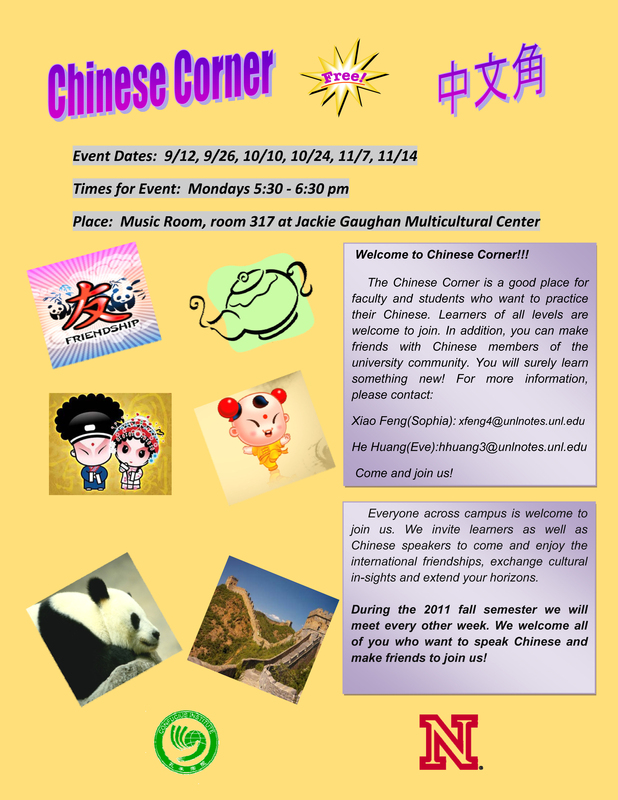 UNL Confucius Institute will sponsor this event. Application for this event starts now until September 15. Application forms are posted in the LCCA website www.thelcca.com under the link "Chinese Food Festival and Contest." Specific rules of the event will be announced in early September. Chinese Students & Scholars Association (CSSA) will organize a Ping Pong Competition, sponsored by UNL Confucius Institute to celebrate the 40th anniversary of Ping Pong Diplomacy between U.S. and China and promote the benefits of physical activity engagement. The competition will be held at the City Campus Recreation Center starting on 9/18/11 and may continue on 9/24 & 9/25 as needed. All current students, staff and faculty are eligible and encouraged to sign up for the competition. The competition will be divided into 6 groups: Student-Male, Student-Female, Staff & Faculty-Male-Under Age 50, Staff & Faculty-Male-Over Age 50, Staff & Faculty-Female-Under Age 50, and Staff & Faculty-Female-Over Age 50. The 1st, 2nd, 3rd place winners of each group will be awarded with prizes worth approximately $50, $30 and $20, respectively. Paddles will be provided, but you can bring your own. The signup deadline is 09/13/2011. For registration, schedules and rules, please go to CSSA's website cssa.unl.edu. 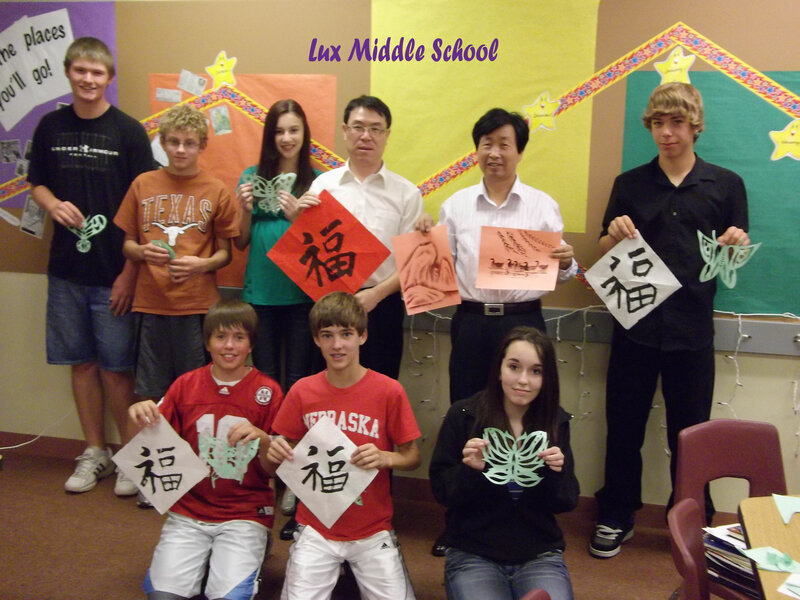 Monday to Saturday, September 26 - October 1, 9:00 a.m. to 5:00 p.m.
Time: October 1, 2011, 9:00 a.m. - 12:00 p.m.
Purpose: In order to promote Chinese Language and Culture in the State of Nebraska, the Confucius Institute at UNL will hold a Chinese Speech Competition. 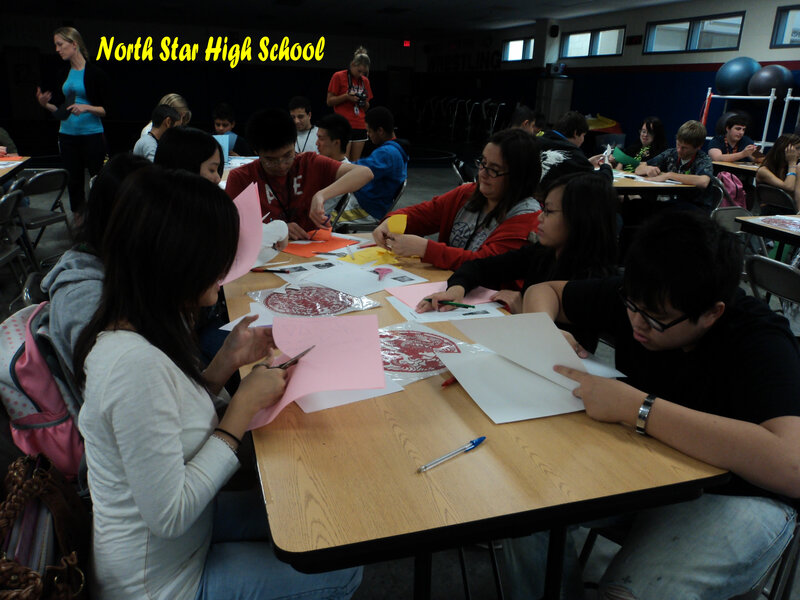 The purpose of this competition is to stimulate enthusiasm and interest for learning Chinese, and enhance understanding of the Chinese language and culture among students and others in Nebraska. 3) Persons born in China Mainland, Hong Kong, Macao or Taiwan are not eligible to participate except children adopted by non-native Chinese speaking American families. Registration is from August 22-September 23, 2011. Registration can be done electronically or by mail at address listed below. Registration forms are available for download at the website below. Contestants can contact Joyce Young at the Confucius Institute if help is needed. Download the registration form here. In order to encourage fair competition, contestants will be divided into 4 groups according to their age and background. NOTE: If the number of registered contestants in a group is below three, this group will be combined with another group. Each contestant will present a 3-5 minutes prepared speech in Chinese followed by answering 2 questions from the judges. Each contestant can choose one of the following topics for his/her speech. B. China - A different place from what I imagined/heard. Scores will be given after each contestant finishes his/her speech by 7 judges who are Chinese language instructors and/or native Chinese speakers. Contestants will be judged on the following categories: Voice (loudness/clarity), grammar (accuracy), fluency (no hesitations and pauses/speed), vocabulary (richness/appropriateness), and presentation (manner/attitude/connect to audience). All contestants will be awarded a certificate and a souvenir. Top winners will also receive cash awards. 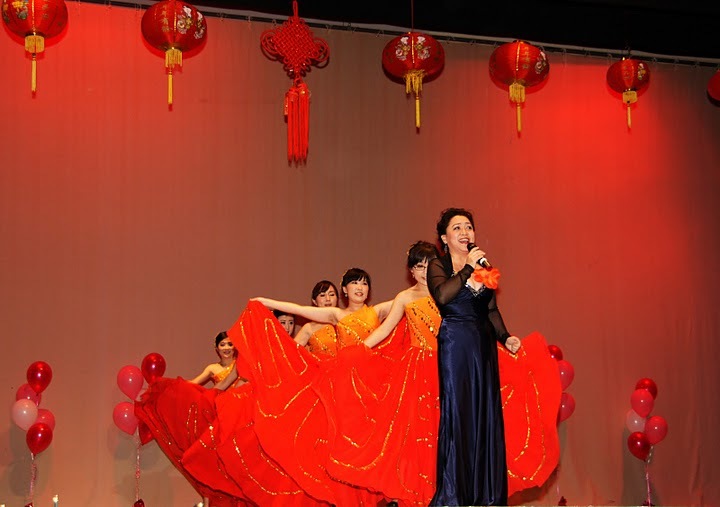 The Children Chinese Talent Contests on September 17 kicks off the Chinese Culture Festival 2011, which runs throughout the rest of the month and ends on October 6. It presents a series of events, including Ping Pong competition, LCCA Chinese Food Festival and Contests, Farmer?s Painting Exhibition, Chancellor's Reception, climaxed by Chinese Speech Competition, Golden Autumn Performances and Celebration Party and Chinese Movie Show. Chinese Farmer's Painting Exhibition was held at Rotunda Gallery of UNL City Campus Union from September 26 to October 1, and in Omaha the next two days. The works displayed are painted by Mr. Zhijian Luo and Mr. Wenji Wang, two famous farmer's painting artists from Hu Xian county, Xi'an, known as the "Land of Chinese Folk Arts" in China. 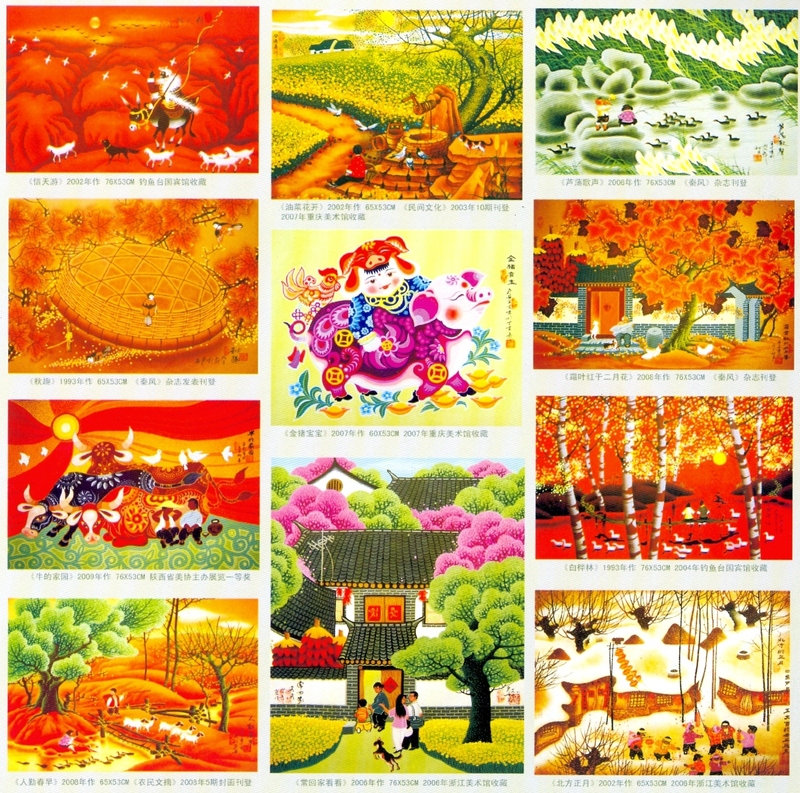 The paintings are mainly themed on the daily life of modern countryside in China and are characterized with exaggeration, romance, simplification, and sharp contrast of bright colors. The works on display have won wide recognition with various awards home and abroad. 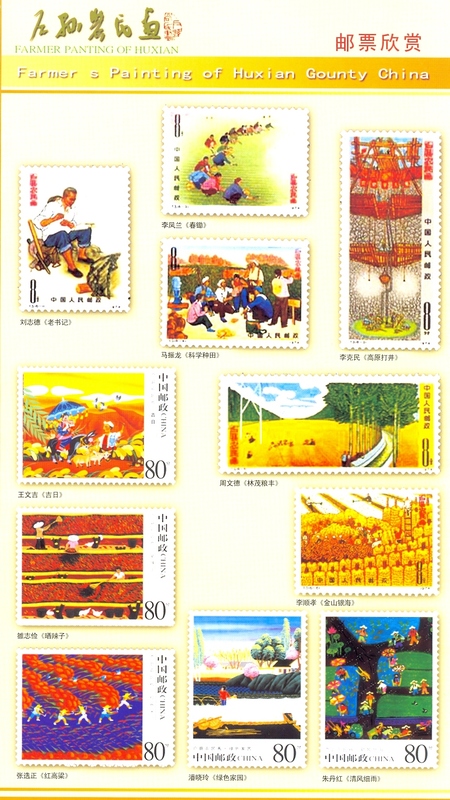 Some of them have been printed on Chinese stamps and collected by museums and individuals worldwide. 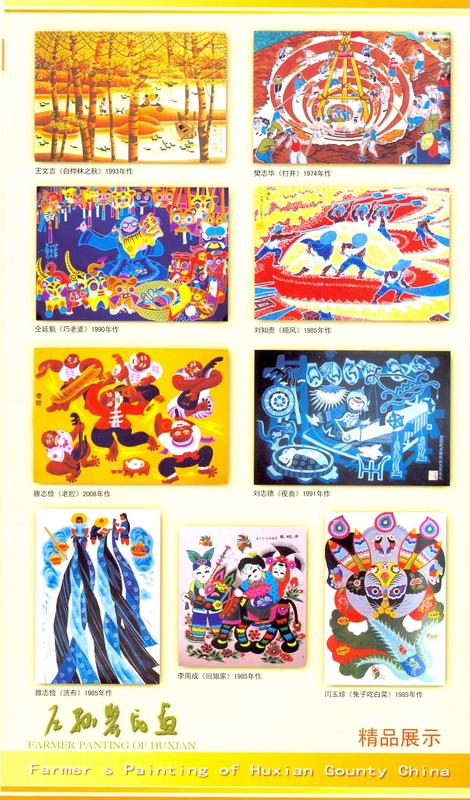 Mr. Luo has had his works exhibited in Australia, the United States and Japan, while Mr. Wang's works have been exhibited in Japan and Korea. 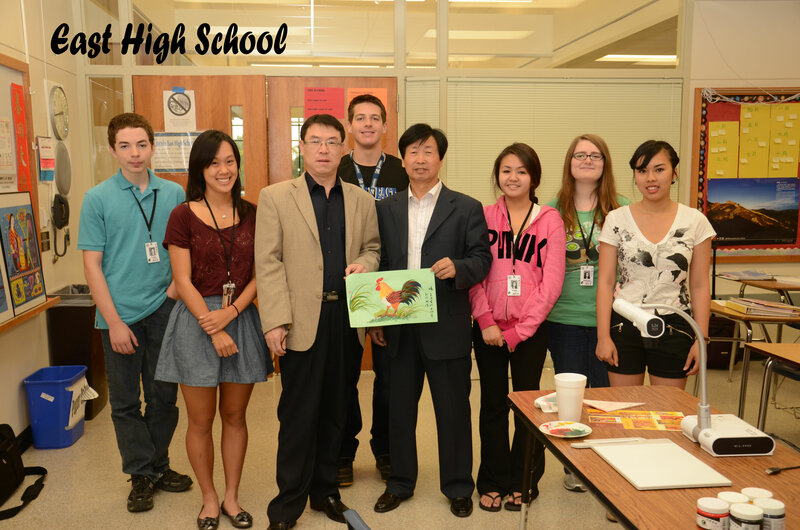 The two artists were invited to Nebraska at the invitation of Confucius Institute. They demonstrated farmer painting, paper cutting and Chinese calligraphy at the Gallery, which attracted not only the college students, faculty members of UNL, but the local citizens. 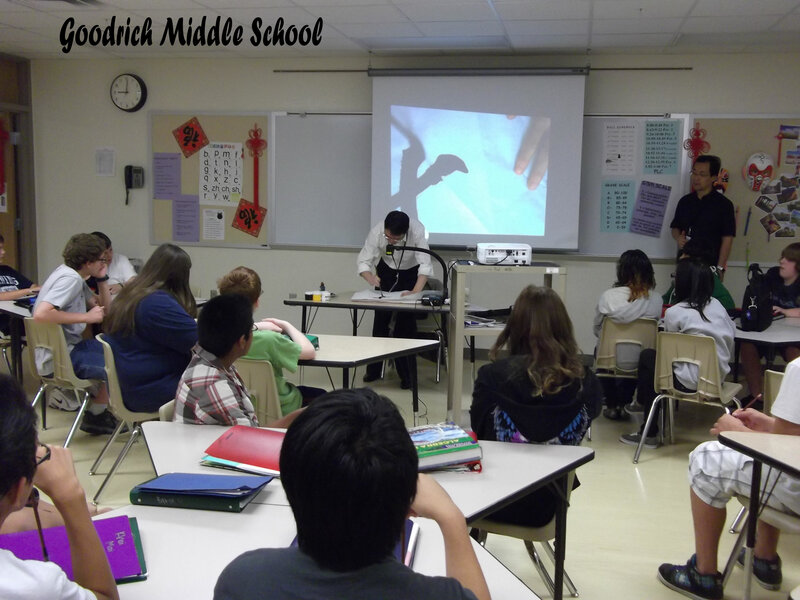 They also visited Lincoln public schools and Omaha public schools, an excellent opportunity for American students to "see" and appreciate traditional Chinese arts. Hosted by UNL Chancellor Harvey Perlman, Chinese Culture Festival Reception was held at Van Brunt Vistors Center on September 29, 2011 to celebrate the 62th National Day of The People's Republic of China and the 4th Anniversary of UNL Confucius Institute. The distinguished guests present at the reception were John Gale, Nebraska Secretary of State, Roger Breed, Nebraska Education Commissioner, Bob Phares, Chairman of the University of Nebraska Board of Regents, Steve Joel, Superintendent of Lincoln Public Schools. Some well known scholars and educators, influential local Chinese as well as the staff members of Confucius Institute were also invited to the reception. 2011 Chinese Speech Competition was held on October 1 from 9:00 am to 12:00 pm at Regency Suites, UNL City Campus Union. Around 40 contestants, categorized in kindergarten/elementary school group, middle/high school group, college/graduate group and adult Nebraska resident group, took part in this annual event. What's worth mentioning was that more contestants with non-Chinese background were attracted to this event. 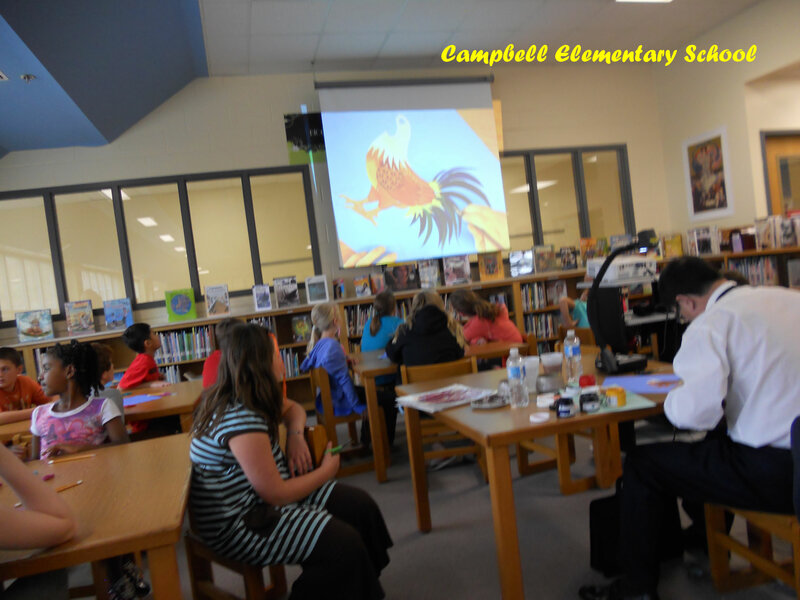 They shared interesting stories about Chinese language, Chinese people and China. 2011 Golden Autumn Performances and Celebration Party, Sponsored by UNL Confucius Institute, UNL Chinese Students and Scholars Association, and Lincoln Chinese Cultural Association, was held at Ballroom of UNL City Campus Union on October 1 from 7:00 pm to 9:00 pm. With a theme of demonstrating the Chinese culture, a total of 9 programs were staged, including children's dance, Chinese folk dance, singing and Peking Opera. 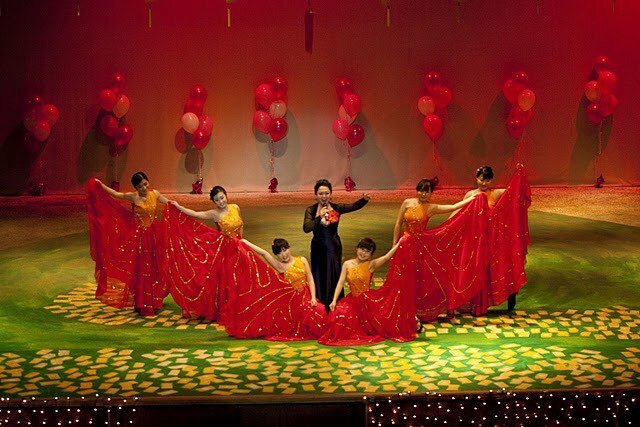 The climax of the Party was the Chinese Culture Show by CI members headed by three CI directors. Female teachers dressed in Qi Pao, and male teachers in Tang Costume, they showed fans, lanterns, Chinese knots, fish, musical instruments, facial masks in Peking Opera, all with Chinese elements. 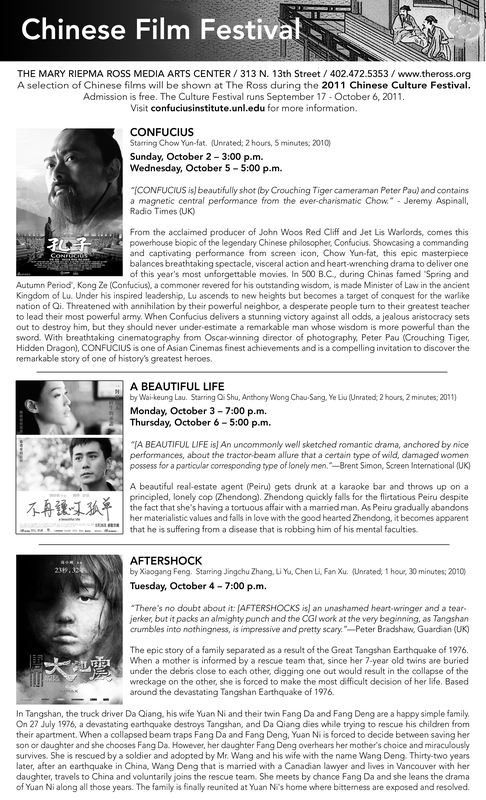 2011 Chinese Movie Show presented three movies, Confucius, A Beautiful Life, and Aftershock at Mary Riepma Ross Media Arts Center from October 2 to October 6. Confucius, a movie about an ancient Chinese philosopher and educator; A Beautiful Life, a movie about the life of modern Chinese young people; Aftershock, a movie adapted from a real earthquake in China, depicted a broader picture of Chinese peoples' life. UNL Confucius Institute lead a group of 7 Nebraska educational administrators on a Chinese language and culture tour in China June 5 - 18, 2011. 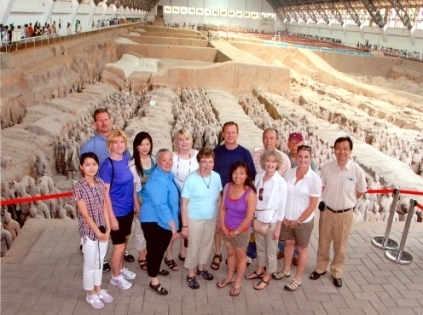 This tour was sponsored by a Chinese Bridge Fund from Hanban (The Office of Chinese Language Council International), a branch of Chinese Ministry of Education; Xi'an Jiaotong University (XJTU), and UNL Confucius Institute. Participants visited schools and cultural sites in Xi'an and Beijing; engaged in discussions with officials, principals and school teachers and attended seminars in Chinese language, history and culture. A reception sponsored by UNL Confucius Institute and UNL Department of Textiles, Clothing and Design was held on May 24, 2011 4:00 - 6:00 p.m., Rotunda Gallery, UNL City Campus Union for Visiting Design Professor Deqing Qin and her exhibition of design works. The exhibition's theme was "Floating Fabrics." Dr. Wendy Ruth Weiss, Dean of Department of Textiles, Clothing and Design, declared the opening and introduced Prof. Qin and her works. Dr. Rachel Zeng, Excecutive Associate Director of CI, Prof. Pingan Huang, Associate Director of CI and other CI teachers attended the opening ceremony. Also in attendance were teachers from Department of Textile, Clothing and Design, students of UNL and the general public from Lincoln. The exhibition is one of UNL Confucius Institute's Chinese culture promotional activities and lasted until June 3. 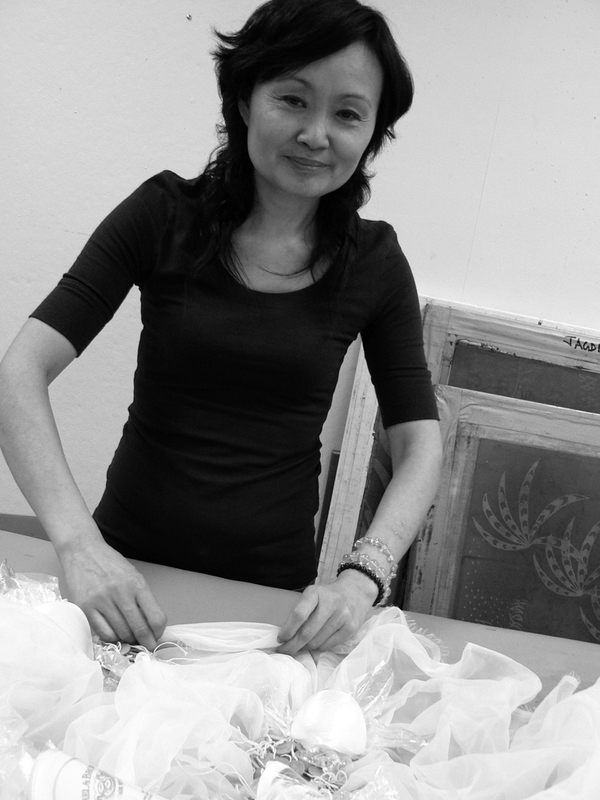 Prof. Qin De Qing is the Vice Dean of the Department of Textile and Fashion Design at Qingdao University in China. From January 2011, she has been working with Dr. Weiss as a visiting scholar. During her time at UNL, she has been researching and creating works that emphasize the transformation of specific fabrics into 3-D structural forms, along with silk dying. Prof. Qin's works are based on the combination of art and technology, Chinese and Western philosophies of art, as well as merging tradition and innovation. The works on exhibit have been completed during her time in the UNL College of Education and Human Sciences, Department of Textiles, Clothing and Design. During his visit to UNL from May 5th to May 8th, President Nanning Zheng from Xi'an Jiaotong University came to the Confucius Institute at UNL with his delegation on the afternoon of May 7th, and held a meeting with the Chinese teachers in the institute. The delegation inspected the offices and facilities in the institute and listened to the work report presented by Dr. Rachel Zeng, Executive Associate Director of CI. President Zheng highly praised the achievements of CI in teaching Chinese language and promoting Chinese culture in Nebraska. He was especially impressed with the rapid growth of teaching faculty in the past 4 years - from only 2 teachers in 2007 to 16 in 2011. He thanked UNL for providing excellent office space and teaching facilities. He also asked in detail about the Chinese teachers' life and work in Lincoln, encouraging them to write down their precious teaching experiences in the US to share them with Chinese teachers and future CI teachers. At the meeting, the Chinese teachers talked about their work, interesting life stories, the friendship and teamwork. Other members of the delegation visiting UNLCI were Prof. Jiankang Liu, Dean of School of Life Science and Technology; Prof. Zhenping Feng, Dean of School of Energy and Power Engineering; Prof. Yuxia Song, Executive Associate Dean of School of International Education; Dr. Li Liang, Director of the Department of International Cooperation and Exchange; and Dr. Chunyang Jin, Vice Director of the President's Office. The Confucius Institute at the University of Nebraska-Lincoln (UNLCI) was established as the 20th CI in the United States in March 2007, in partnership with Xi'an Jiaotong University (XJTU) in Xi'an, China. With support from Hanban (The Office of Chinese Language Council International), local educational communities and two universities, UNLCI has seen rapid growth from a team of 2 teachers in 2007 to 16 this year, which places it as one of the largest and most active Confucius Institutes in the US. 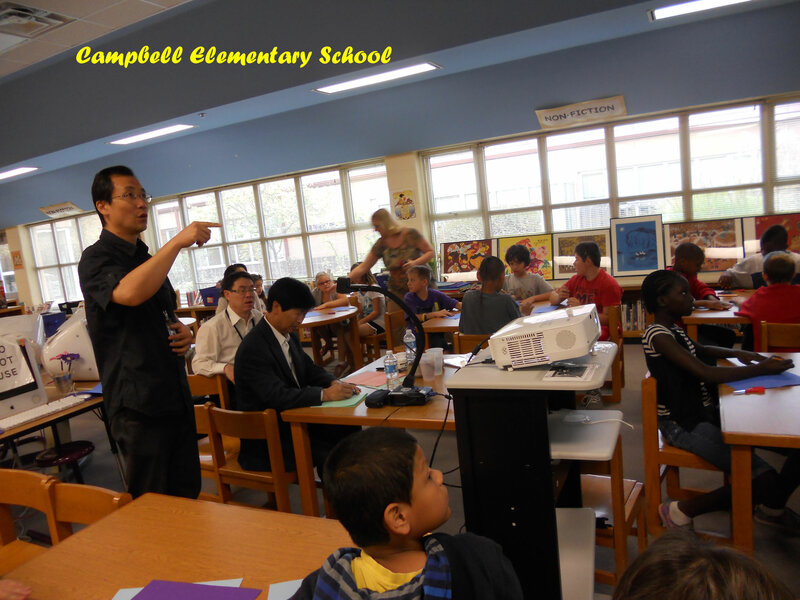 The Chinese language classes and cultural events offered or sponsored by CI have covered a wide range of population, including kids in kindergartens, students in public schools, people in communities and students in three universities. Currently, the student population who study Chinese language and/or culture has grown from around 100 to over 5,000 per year. 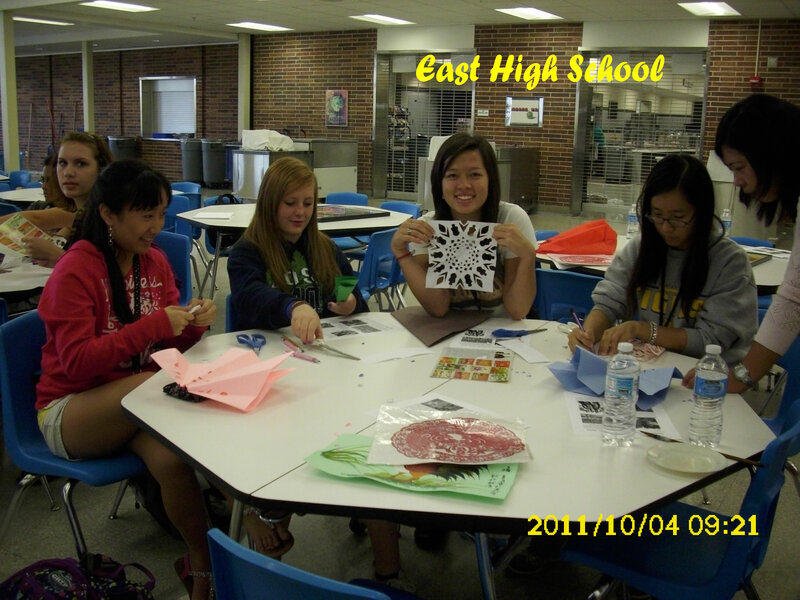 The Chinese language programs are offered not only in Lincoln, the state capital, and Omaha, the state?s largest city, but also in other three cities around the state. In addition to the classroom teaching, the internet-aided distance learning classes have also been introduced. CI teachers have made great efforts in designing the curriculum for Chinese learners so as to standardize and systemize Chinese teaching. UNLCI has also expanded the impact of Chinese culture on the local people's life by organizing and sponsoring a series of Chinese cultural events throughout the year including festival celebrations, organize lectures on Chinese culture, economics, arts and crafts, martial arts, etc., and China Culture Week of showing of Chinese films, Chinese speech competition, Chinese dance and folk music, etc. April 9th was a sunny spring Saturday. A staff meeting was called by Prof. Pingan Huang, the newly appointed Associate Director of Confucius Institute at UNL from Xi'an Jiaotong University. 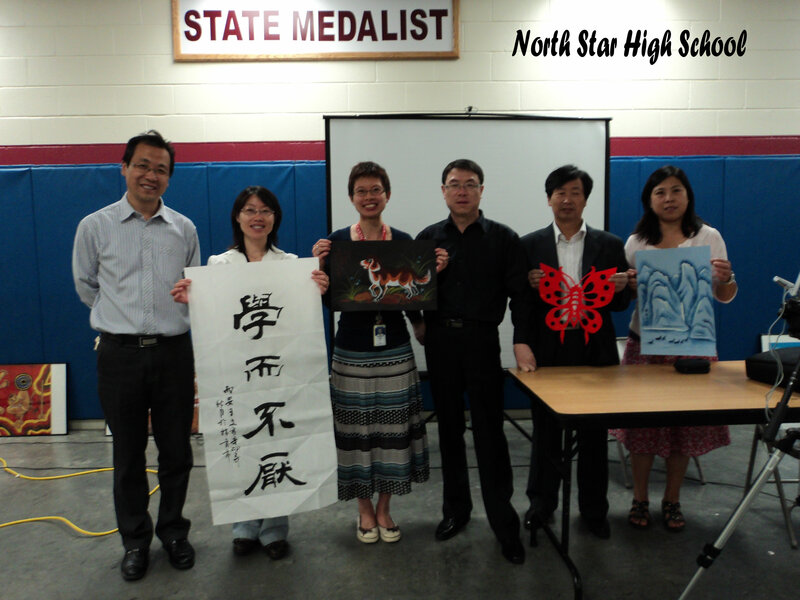 All UNL-CI Chinese teachers from Omaha, Beatrice as well as Lincoln attended the meeting. They were: Zhao Wei from Omaha Central High School, Sui Yanan and Wu Yi from ESU#5 in Beatrice, Feng Xiao, Huang He, Zheng Zhi, Yang Shengmei, Li Wenjuan, Shi Yanrui and Chu Jianwei from Confucius Institute at UNL and Lincoln Public Schools. A big meeting like this is usually gathered only once or twice each semester. Teachers were happy to see each other and have opportunities to share their stories working at different locations in the State of Nebraska. The meeting was very productive. Items discussed in detail were course books and other teaching material currently being used. Since Confucius Institute offers a wide range of Chinese language and culture courses for students in preschools, elementary schools, middle schools, high schools, college students, UNL staff, as well as people in the community, textbooks need to be greatly diversified to meet the student's age and level. Therefore teachers must be careful in the selection of books and other teaching material. They feel that resources provided by Hanban (the Office of Chinese Language Council International) are very valuable and useful for teaching, and every teacher should make full use of these resources to improve students' learning. The Department of Modern Languages and Literatures at the University of Nebraska-Lincoln hosted its 35th annual Modern Language Fair from 9 a.m. to 2:30 p.m. on April 5, 2011. Contestant Justin E. Hatfield from Omaha Central High School, reading a Chinese poem titled "Plum." Contestant Savanna Falter from Lincoln East High School singing a Chinese song titled "Sweetness." Contestant Emily Knaub from Lincoln North Star High School performing drama in Chinese "Weather Report." Poem Recitation: "The Chinese Language"
James Kendrick, Shengmei Yang, Christopher Manzano, Yanrui Shi, and Zhi Zheng. The splendid musical poem recital demonstrates the traditional essence and modern vitality of the five-thousand-year-old Chinese Language. Jianwei Chu, Shengmei Yang, James Kendrick, Christopher Manzano, and Zhi Zheng. "Popular and Classic American Songs"